Well, on Thursday, May 11, 2017, we sold the house we’ve lived in for twenty-three years. Feels strange. We’ve moved into our son, Sam, and his wife, Hallie’s house for the time being. I’m so grateful to them for letting us take up a room until we find our next house. 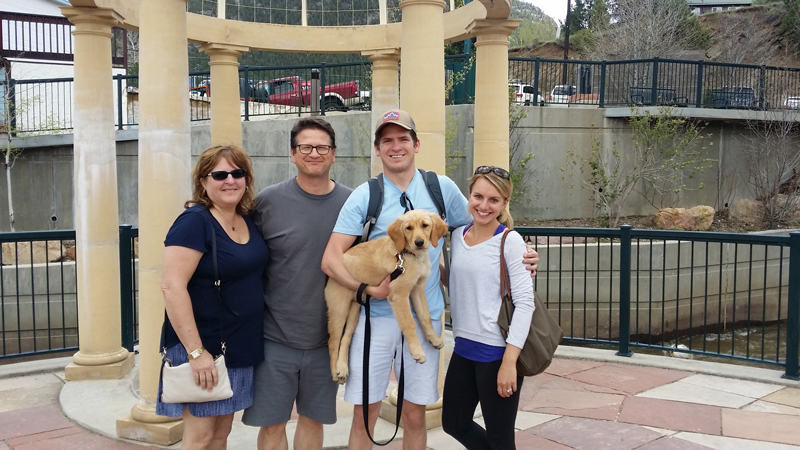 Last week, we visited our son, Jake and his wife Jenny’s place in Arvada, Colorado. Jake was three when we moved in. He’s now twenty-six and he and Jenny will celebrate their one-year anniversary in 10 days. Crazy! Had an amazing time, met their little fluffball, Bella, the cutest golden retriever pup in the world right now. As we were leaving Jake said, “Feels weird to know that I’ll never step foot in that house again.” Me too. As I signed ownership of our Wood Duck Lane home over to a nice couple, I saw a poster in the title company’s office. Felt like recreating it. Call it feeling displaced at the moment or just needing to know I did have a base camp, that being Minnesota is my home. Thought you might enjoy having this free printable too. 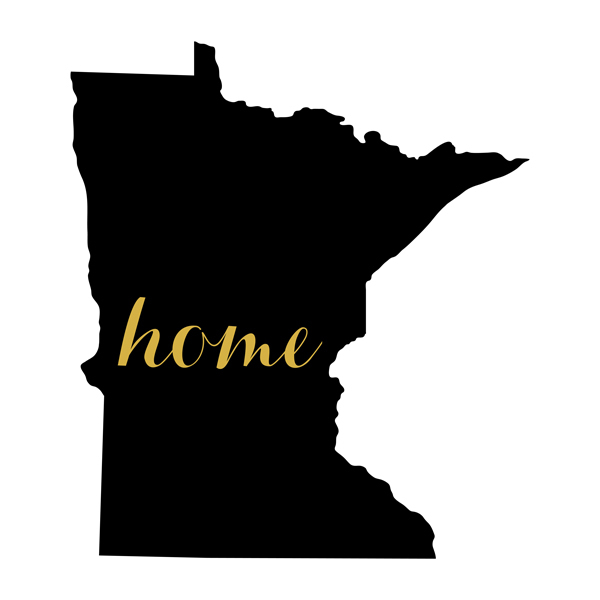 Click here to get your free downloadable printable pdf of Minnesota Home in silhouette. I printed my version on a letter-sized glossy photo paper, with 8X10 dimensions. Feel free to frame yours how you’d like to or send it to your favorite photo center and put it in a sized frame of your choosing. Julie Saffrin is the author of numerous published articles and essays. Her latest book, BlessBack: Thank Those Who Shaped Your Life, explores the power of gratitude and offers 120 creative ways to journey toward positive, lasting change. Transitions are hard ! But new adventure ahead — Blessings! Oh, my! Big changes! Though My husband and I are Florida residents now, we still have our Minnesota home where our children grew up and spend our summers there. Every time we talk about selling it we have mild panic and realize we are not yet ready for that step. Lead the way, my friend, and blaze a path forward that others may follow. Wow! big changes for you! We have been in our house for 24 years and are beginning to think about our next steps. Enjoy your new beginning.